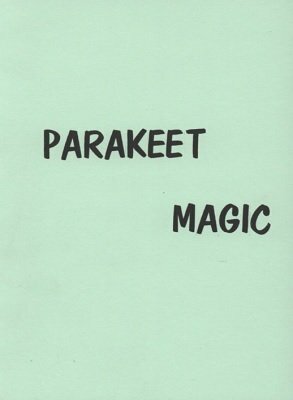 Parakeet Magic is inexpensive to get started with - all it takes is a few dollars investment plus your time and enthusiasm. But in the end you have such pretty, pretty magic! Dedicated to (and published with the blessing of) the originator of the Parakeet Magic Act, Jack Kodell. 1st edition 1970, 95 pages; 1st digital edition 2014, 83 pages.